September 26, 1941 to July 13, 2018: Gene loved to golf and travel and he did both as often as possible. Mr. Gene Palmer Stiles, born on September 26, 1941 in Portland, Oregon, to the late Beverly LaVerne Stiles and the late Raymond Clyde Stiles, passed away at age 76 on July 13, 2018 in Salem, Oregon. He graduated from PCC and worked in the door and hardware industry as a draftsman, production manager, and hardware consultant at Grand Metal Products, Oregon Builders Hardware, and US Door and Hardware. 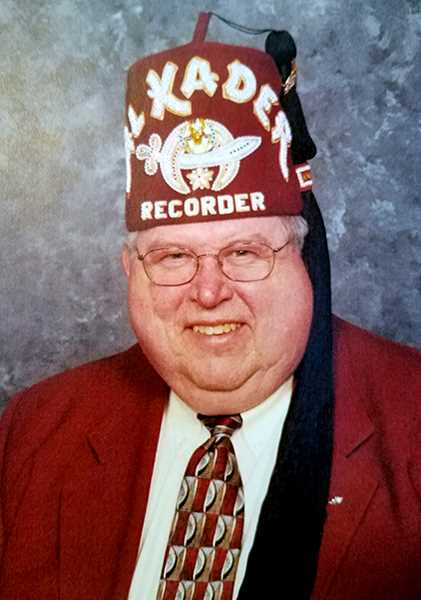 He was a member of Al Kader Shrine, Scottish Rite and the Mason's. Gene loved to golf and travel and did both as often as possible. Gene was married first to Katharine Rose, then to Bunny Wellington. He was preceded in death by his stepmother, Myrtle Lewis Stiles; and sister, Judi Tawney. Gene is survived by his wife, Cleota (Bunny) Stiles, daughters, Linda Stiles and Theresa Peterson (Doug); brother-in-Law Dana Tawney, and nephew, Geoff Stiles (Katie) and their children Harper and Grayson. Friends and family can pay their respects at the memorial service from 1 p.m. to 4 p.m. on Monday, August 20 at Al Kader Shrine Center, 25100 SW Parkway, Wilsonville, Oregon, 97070. Donations in Gene's name to Shriners Hospital for Children are welcome and appreciated.